In early 2012 I thought I had discovered the perfect title for my new project, which was to be a diary of my information habits. I wrote up several pages of notes under the title “Confessions of an Infomaniac.” Several weeks later I Googled the phrase, and to my chagrin found the title had already been taken by Elizabeth M. Ferrarini in 1984. I instantly ordered a cheap copy of the book, and was pleasantly surprised when it arrived. I was so taken by the cover that I posted a Photoshopped version of it on Facebook with my own name in place of hers. It was well liked by my friends, but I felt some remorse to have erased the name of an author, even if only in the spirit of an informal repurposing. Ferrarini’s work is ahead of its time, and not far off in its hyperbole. Her books presage the collapse of boundaries between the home and the workplace, and between the computer and the bedroom—and they foretell a new era of e-romance. Despite her alarmist asides about suffering from too much information, Ferrarini is enthusiastic about the endless romantic potential afforded by online dating services. 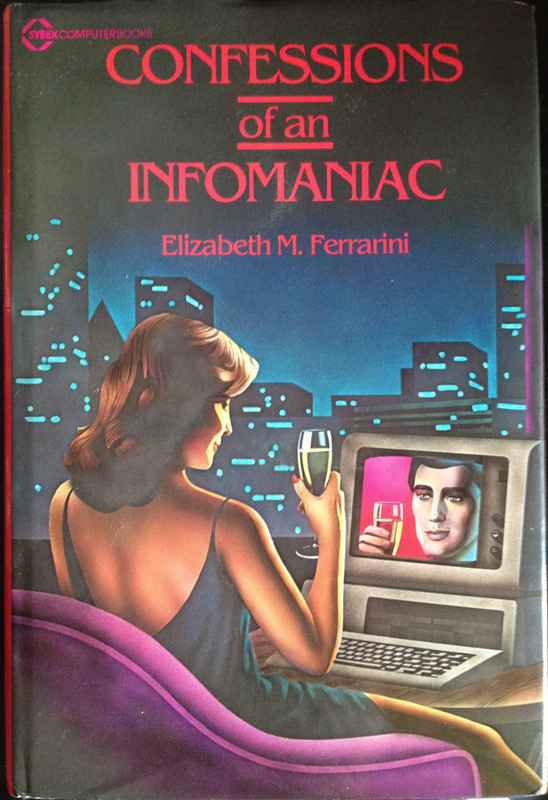 Ferrarini even registered a trademark for the word “infomania” in 1985, intending presumably to start some kind of consulting business, but the trademark was cancelled in 1992 due to going unused by its owner. In late 2012 I tried to find Ferrarini by Googling her; I found a brief obituary—she had died in October. Metaphors for information overload tend to fall into two categories: those that suggest addiction or lack of self-control, such as infomania, datamania, infobesity, databesity, dataholism, infostress, dataddiction, infovorism, datadithering, data dread, infoxication; and those that suggest natural disaster: datanami, datageddon, dataclypse, data deluge, data smog, infoglut, information saturation, data swamp, drowning in data. As someone who’s spent years poring over every book on information overload and information diets that I can find, I’m skeptical that effortful self-control will do much to address the sense of being overwhelmed by information. I’m also skeptical about too much information bringing about the apocalypse. A larger problem is time poverty. A data diet is a luxury most knowledge workers can’t afford. As I detail in my book, Americans have been worried about the adverse effects of new communications technologies since the late nineteenth century. At the other extreme is data poverty: 2.2 million incarcerated Americans are on forced data diets. A 2011 UN report declared Internet access a fundamental human right that should be accorded to all, including prisoners. Everything we do as humans involves taking in data. I understand information overload broadly as a range of phenomena relating to the limits of cognition, perception, and memory (both personal and collective), typically associated with technological change. Many of the major aesthetic debates of the twentieth century—over, for instance, perception, style, technological reproducibility, cultural memory, and canonicity—take on new valences in the context of information overload. Hear me out . 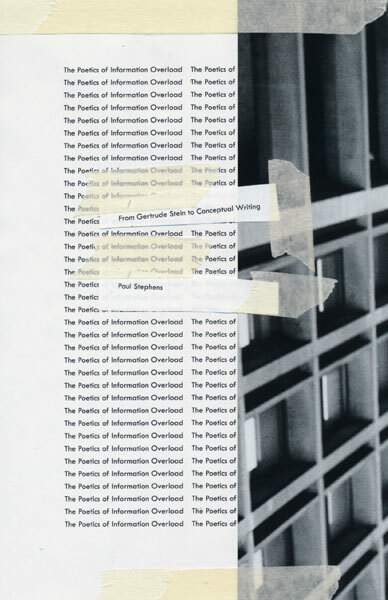 . .
Paul Stephens is author of The Poetics of Information Overload: From Gertrude Stein to Conceptual Writing. He has taught at Bard College, Emory University, and Columbia University. He edits the journal Convolution and lives in New York City.